Infinity's marine speakers bring superior sound to your boat. Strong, weather-resistant materials and precise construction ensure these high-performance speakers will keep the party going for years to come. 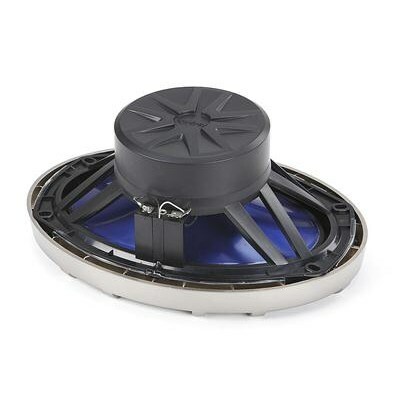 The Infinity 6912M 6"x9" speakers feature a polypropylene woofer cone bonded to a tough, UV-resistant rubber surround. This design delivers full bass response, while maintaining excellent resistance to sunlight and moisture. The corrosion-proof, cast-polymer basket shrugs off deterioration caused by salt, moisture, and UV rays, while the stylish non-removable grille is specially treated to retain its shiny chrome finish. 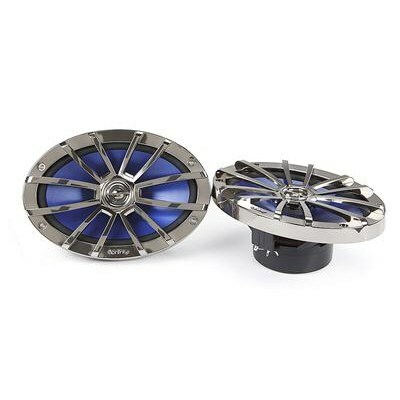 The grille-mounted 1-1/4" tweeter offers excellent high-frequency projection. Infinity seals the front of the woofer cone along with the speaker's magnet structure for extra protection against moisture. Stainless steel mounting hardware is included.